With every HR personnel development seminar and assessment center there is data that will almost always apply and can therefore be reused. 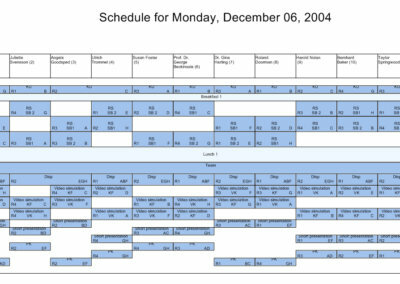 Once added to the system, this data is maintained by the Navigator and can be fully or partially copied into a new seminar, saving you precious time. This applies to data such as the definition of excercises, criteria and skills or adding observers and venues. If desired, the data can be linked to the respective client to maintain a clean overview of all projects – a feature especially designed for consulting companies. The centerpiece of Ingentis easy.pes is the Wizard. 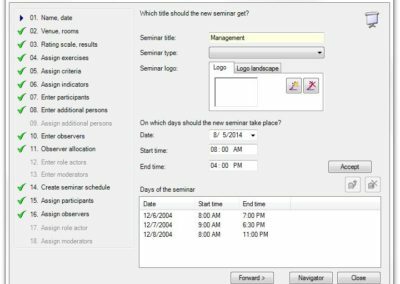 Step by step, it leads you through the process of creating a new seminar with the help of user-friendly dialog windows. The questions posed in these dialogs aim at completing the information not yet provided by the master data. The Wizard’s clear structure still leaves room for a flexible design of the seminar or assessment center. For example, it is possible to work with several value levels per parameter. 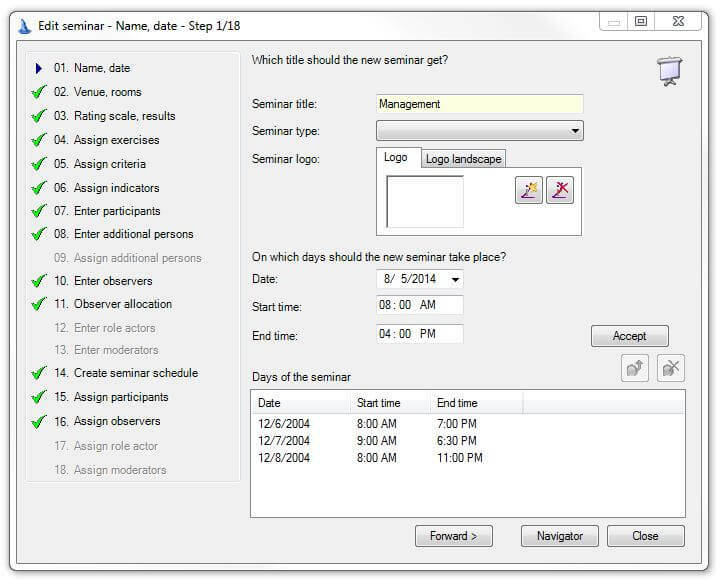 In addition, the Wizard generates the seminar’s schedule at the push of a button, based on the user settings. 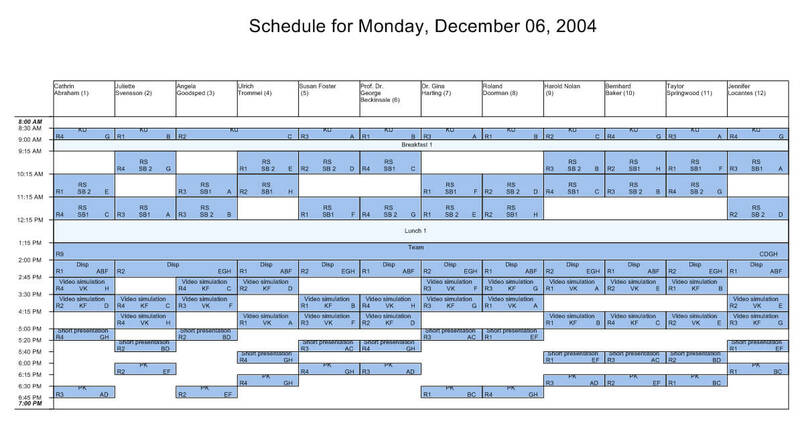 The schedule can be edited anytime and is easily adjustable to the user’s wishes, e.g. 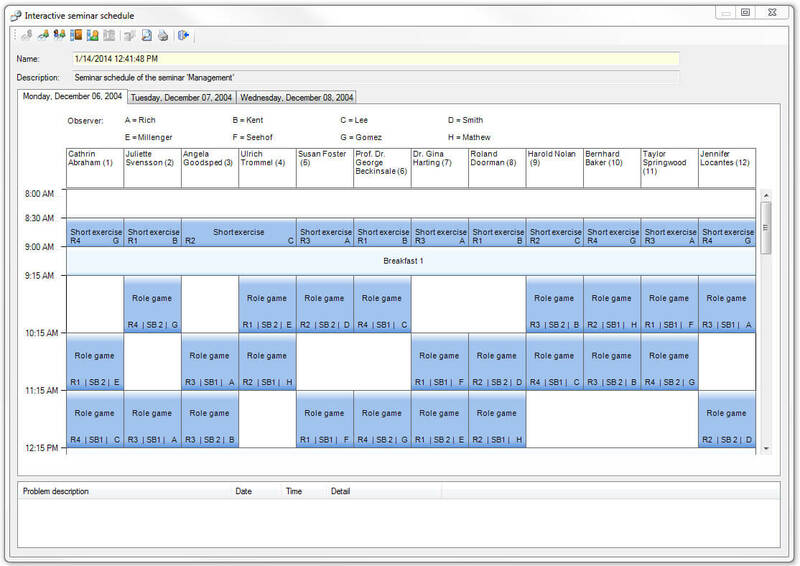 to change the exercises’ order, add breaks or edit assigned observers and rooms. Warnings and error messages point out potential inconsistencies. For example, an observer can’t be in two different rooms at the same time, or in case every participant needs to participate in certain mandatory exercises. For your seminar or assessment center to run smoothly, a lot of information has to be available in print for observers and participants. Ingentis easy.pes provides you with a variety of handouts covering all the necessary information – it just takes a click. The documents available in Ingentis easy.pes include individual schedules for each seminar day, schedules for observers and participants, the time schedule, exercise matrix, observer matrix and (group) rating sheets. The latter provide each observer with one sheet for each exercise and participant. They show the criteria/skills to be assessed together with the predetermined rating scale leaving ample space to note ratings and remarks. All reports can be printed in a package. 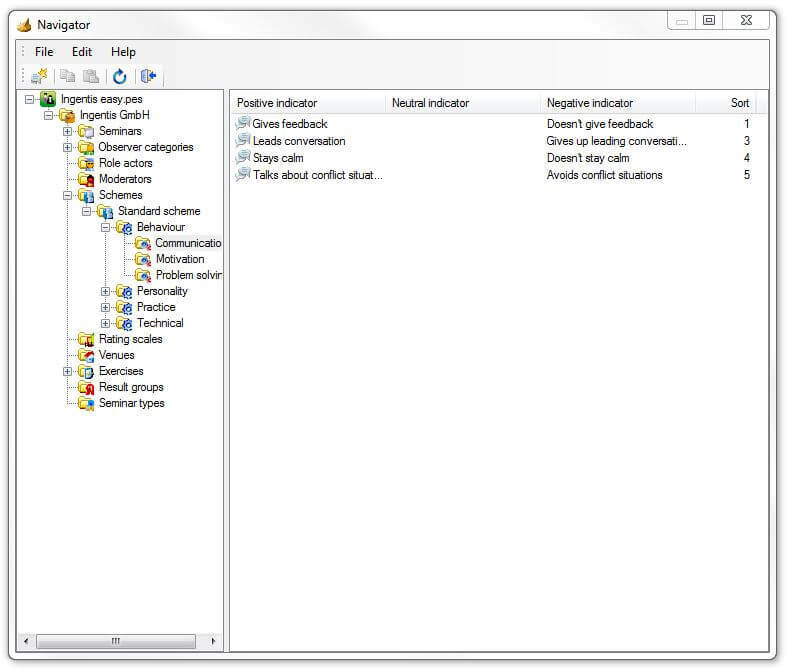 Since Ingentis easy.pes is customizable, additional reports can be added upon request. Shortly before the seminar, every participant can take a self-assessment test based on the criteria that will be evaluated later on. 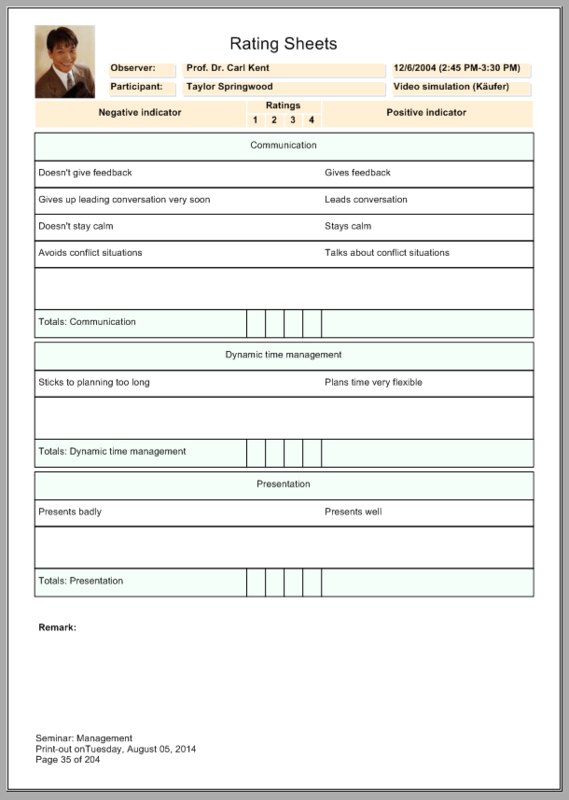 This self-assessment can be integrated into Ingentis easy.pes for a final comparison with the true achievements of the seminar at the end. 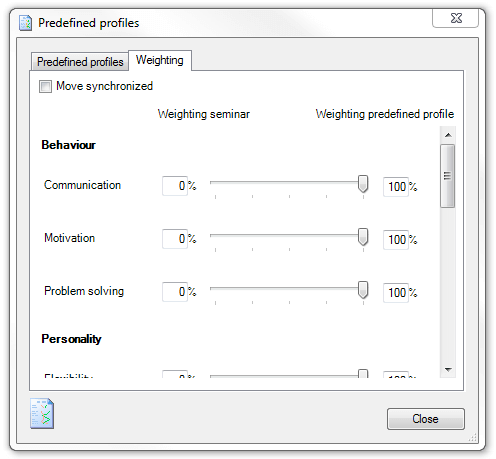 It is also possible to create a target profile.